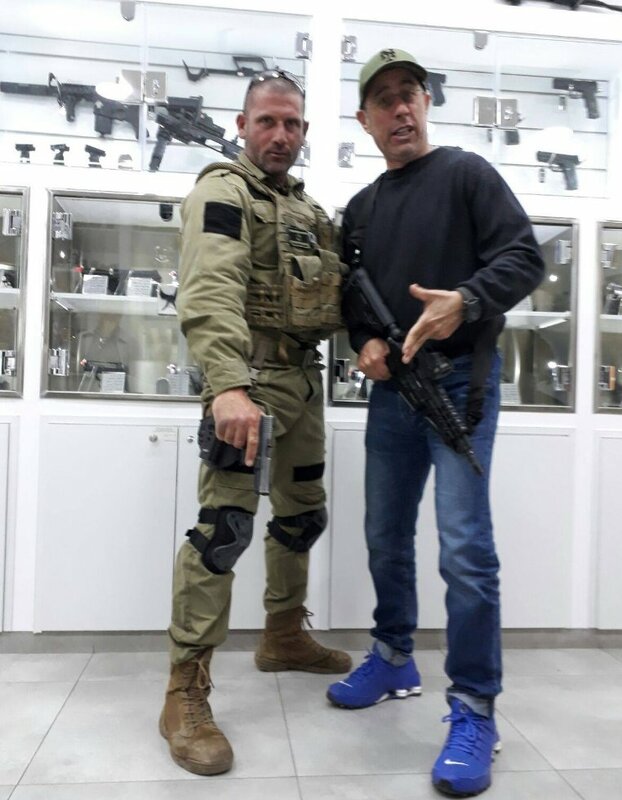 Jerry Seinfeld (right) with instructor Etan Cohen, visits the Israeli counter-terror training academy Caliber 3. Credit: Twitter. 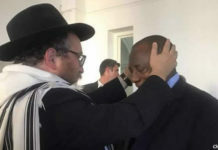 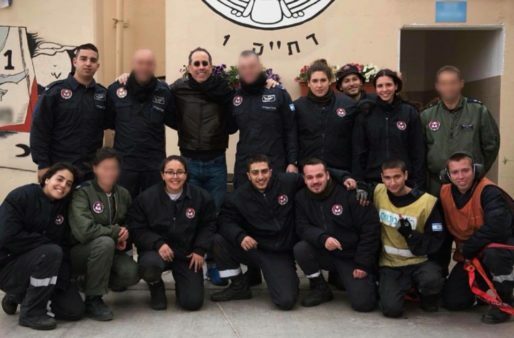 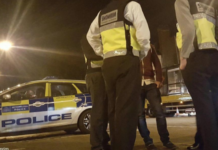 Famed Jewish-American comedian and actor Jerry Seinfeld came under fire this week for a recent visit to a counter-terrorism and security training academy in the Judea and Samaria community of Efrat. 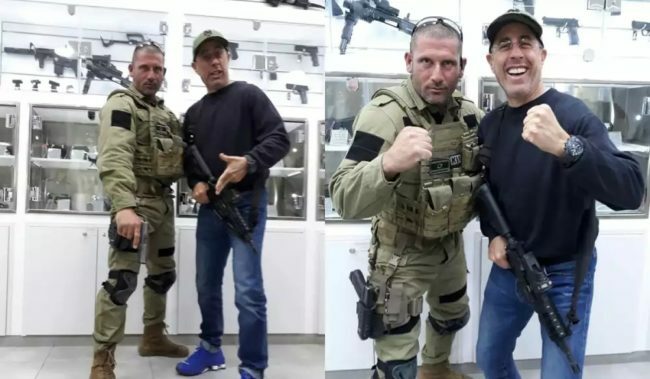 Jerry Seinfeld (right) with instructor Etan Cohen, visits the Israeli counter-terror training academy Caliber 3. Credit: Twitter..
Seinfeld spent 10 days in Israel with his family upon visiting to deliver two stand-up comedy performances in Tel Aviv on Dec. 30. 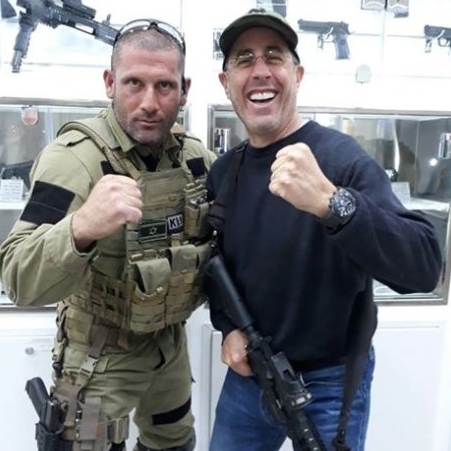 On Tuesday, the counter-terror training academy Caliber 3 removed photos of Seinfeld at its facilities after posting the images online a few days earlier. Jerry Seinfeld (right) visits the Israeli counter-terror training academy Caliber 3. 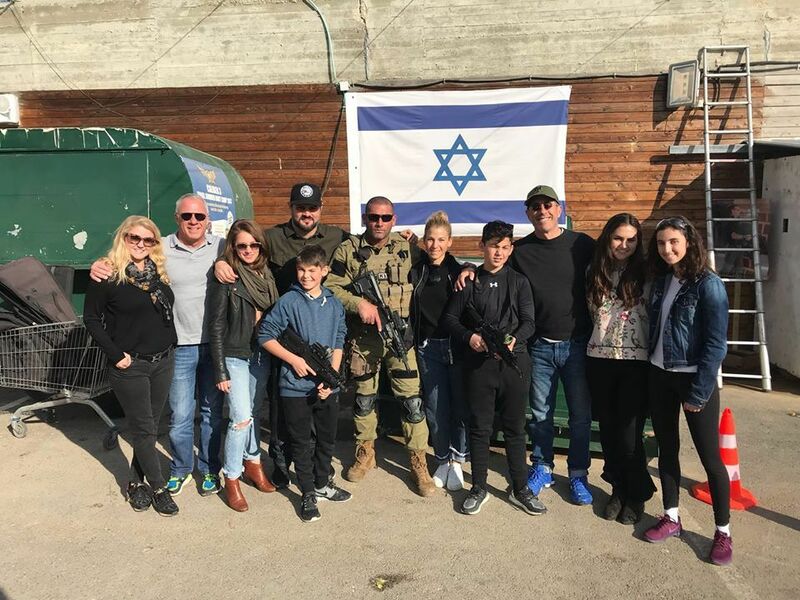 Seinfeld’s is flanked by his wife Jessica to his right and his children. 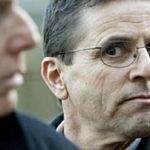 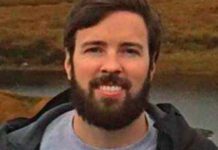 Munayyer’s organization is on the Israeli government’s newly published list of 20 BDS groups whose “central figures” are barred from entering Israel. 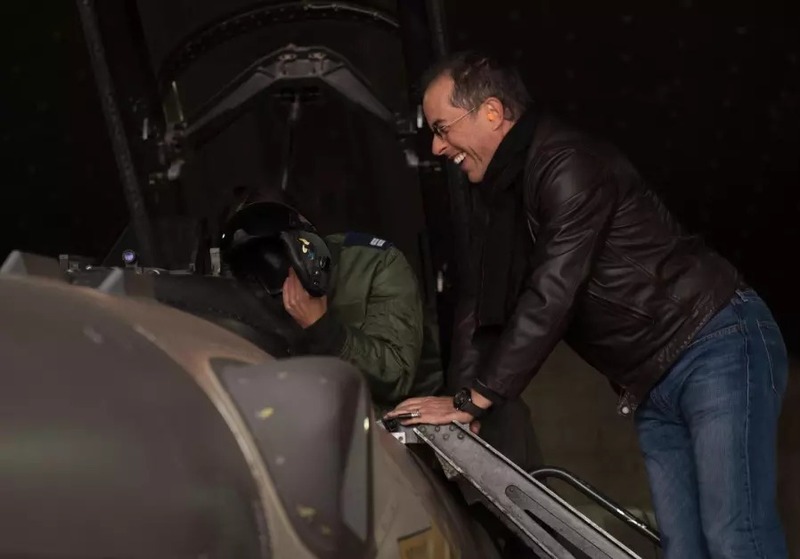 Seinfeld was also criticized for his visit to the Ramon Air Force Base in the Negev, where he was photographed boarding an Israeli Air Force fighter plane. 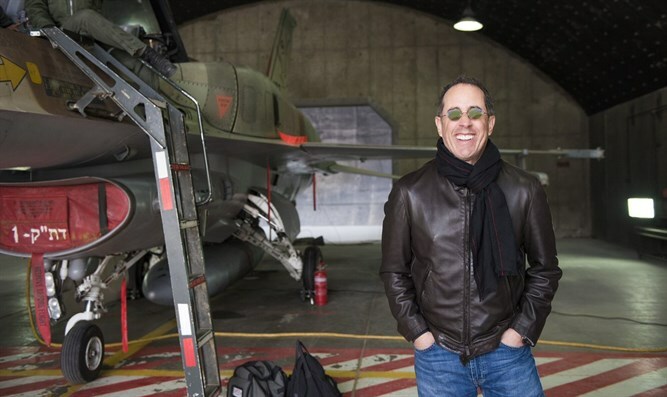 Comedian Jerry Seinfeld at IAF base poses with pilots and soldiers. 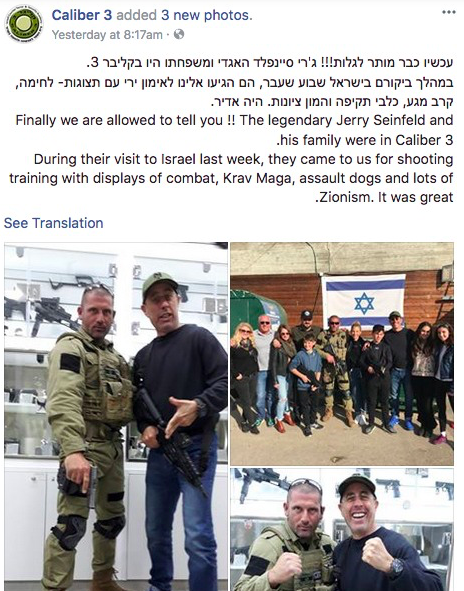 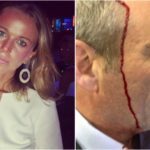 BDS groups such as seen in this video are creating disinformation about Seinfeld and the places he visited.